Wow! Incredible as always. Aura provides great clarity along your path. Very encouraging and very accurate in the past, very supportive and I appreciate her guidance and highly recommend! Thank you Aura! Hello! I am Aura! 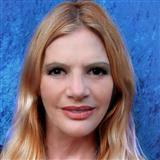 I am a Professional Psychic, certified by the Australian Psychic Association and Doreen Virtue. I have studied with well-known professionals in the field such as Denise Linn, Wayne Dyer and Joe Vitale (The Secret), among many others. I am trained as a Psychologist and Life Coach as well as an Intuitive Healer, medium and Past Life regression therapist. This background gives me a deep insight into human behaviour and predictive ability. I have a wide range of experience in assisting you to achieve your goals and making your dreams a reality! I am also current student of Metaphysics and Transpersonal Psychology as well as a Yoga Teacher and music and sound healer. I appeared on local television and hosted my own psychic radio show. I currently appear in psychic fairs around the country ( Australia and UK). I currently conduct weekly meditation, sound healing and psychic development classes. I have conducted thousands of readings for the Media, Politicians, Doctors, Lawyers, Actors, Corporations and people across all walks of life. Highly trained in remote viewing, I am able to locate missing animals, objects and people ( see reviews). My specialities are helping you with your relationships and finding a suitable partner in which to achieve lasting happiness and fulfilment with. I am highly proficient in aligning you with the specific vibration in which to create prosperity in your life. I have special highly trained abilities to help you magnetise what it is in your life you are searching for...... ... I can help you connect with your true self and assist you in attracting, like a magnet what your heart and soul really wants!! Many of my clients find that I answer their questions before they ask them and that the very thing they have been wanting comes into their lives at an accelerated speed after their sessions. I have a sense of humour and I am easy to engage with – you will find me warm and genuine and sensitive to your needs. I am known for establishing an instant connection with your energy field and empowering you. I look forward to meeting you! Relationship Counsellor; Gambling Counsellor; Member Aust Counselling Association. Member International Positive Psychology Association. Member of International Coaching Federation. Member Australian Psychics Association. Psychotherapist; Hypnotherapist; Certified Tarot Reader; Vibrational Healer; Sound Healer and Therapist; Motivational Speaker; Writer; Angel Intuitive™ ; Law of Attraction Life Coach (LOAC); NLP Practitioner; Radio Psychic; 10 years Lifeline Telephone Crisis Counsellor; 8 Years as a front page psychic on Kasamba; Local media personality. Perennial student of Metapsychics Convenient Hours: 9 pm Eastern - 10 am Eastern ---------- DISCLAIMER: For entertainment purposes only. The client receiving the psychic reading is responsible for all of their own choices and/or actions. You have free will, within the confines of your destiny, to make the most of your situation. Aura offers insight to help, but ultimately you are responsible for your own decisions and actions. By purchasing a reading , you acknowledge that you have read, comprehend and agree with the above disclaimer. MA Transpersonal Psychology; B.SSc (Psychology) (Honors) Charles Sturt University, Dip. Professional Counselling, Dip. Clinical Hypnotherapy, Advanced Diploma in Life Coaching; Gambling Counsellor; Cert Law of Attraction Coach; Certificates in Tarot; DNA Orion Theta Healing-Medical Intuition Level 1 and 2; Reiki; Psychic Counselling; Vibrational Healing; Certified Angel Therapist and Medium (certified by Doreen Virtue); Sacred-Sound Therapist and Healer; Professional Musician; Yoga Teacher. Soul Card Oracle Reader (Denise Linn Certified).